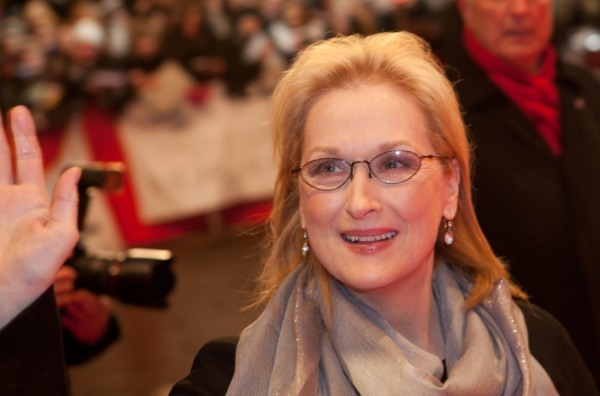 Hollywood’s power stars, such as Meryl Streep, Johnny Depp and Lady Gaga, are standing up for Bully. Will the MPAA cave under the pressure and rescind the film’s R rating? The MPAA has given the documentary film Bully an R rating, angering many of Hollywood’s biggest stars. Meryl Streep, Johnny Depp, Lady Gaga and more have signed their famous names to a petition calling for the ruling to be changed, using their star power to put pressure on the MPAA. The mysterious powers that be at The Motion Picture Association of America have given the documentary, which follows victims of bullying in schools from the Midwest and South, a restrictive R rating based on language. The ruling indicates a restricted audience, with guidelines suggesting parents accompany viewers under 17 — the group supporters of Bully believe most need to see the film. Please sign my petition and demand that the MPAA give Bully a PG-13 so this important film can be seen by as many kids and adults as possible. Her call to action has been heard, with current signatures on the petition numbered at over 300,000. Famous names joining the cause include Justin Bieber, Meryl Streep, Johnny Depp, Demi Lovato and Ellen DeGeneres, who spoke about Bully and the petition on her talk show. Meryl Streep, who added Oscar win number three to her list of credentials earlier this year for her role in The Iron Lady, plans to host a special screening of the film in New York as a way to show her support. Should the MPAA cave to celebrity pressure and change the Bully rating?